We've had a pretty warm fall here. As a result, the birds hung around later than usual. Winnipeg is in the middle of the continent, so you can see all sorts of interesting bird migrations. A spinner friend of mine in Kentucky (who is also a biologist) asked me about the migrations, and although I'd always looked casually, this caused me to pay more attention. Now I'm a fan of the late summer and fall sky activity. For weeks before actually migrating, I watch the Canadian geese in particular. They do these funny practice runs, getting ready to migrate. There wouldn't be a full V of lined up birds or even a sort of haphazard one. There's maybe a basic "back slash" in the sky. --Guys! Guys! Let's get started! Pull to the Right! Go on! You can DO IT! --Joe?? Where's Joe? Joe, come back here. Get yourself in line. Where are you....JOE?? The professor went off to Fort Whyte recently with some friends to see the sunset and take photos of the birds. The photos here are his. I asked particularly after Canadian geese and Snow geese but he said there were also a lot of sea gulls in the mix, but that it was worth seeing. I should note here that I too was invited to go off to see the geese. I am still feeling a bit under the weather, so I enjoyed the warmth of the couch and the company of Harry and Sally, the dogs, while he had a night out. Thought you'd enjoy the professor's lovely images as you imagine fall weather up here in Manitoba. Oh, and when you see the geese farther on their way south? Say hi from me. I'll miss their conversations while I'm on the daily dog walk. It's hard to believe that just last September, I got to introduce Knit Green on this blog. 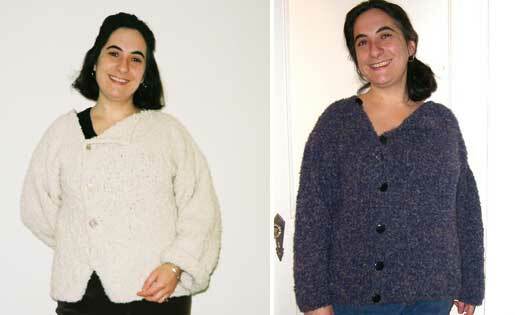 In fact, in October 2009, I got to introduce a new knitting project from the book in nearly every post! That said, the book release was sort of a quiet occasion. We'd just moved to a new country. I only managed to to travel a small amount to promote the book...(unless I get a teaching gig, I can't afford to cover those travel expenses.) I also sent out some postcards to offer yarn shops the possibility of a trunk show...and I never heard from a single yarn shop. I guess it was a quiet book release! Books also make great gifts. It's possible you're not a knitter, (what?! Not a knitter?) but given the statistics, (1 in 3 women in North America knit or crochet) I bet you know someone who is. Even if you're not aware of any knitters, there are spinning, dyeing, crochet, rug hooking and other projects in my books. Oh, and if you're wearing clothes? There's eco-friendly information in Knit Green that you will find useful. This is definitely the time of year that people start buying things for their friends and families. However, I know that times are rough, so it's possible you might not be in a big buying mood. Have you considered asking your library to buy copies of Fiber Gathering and Knit Green? That way you know lots of people can enjoy reading them without any expense at all. I imagine I'm preaching to the choir here, and that most of you have already bought my books. If so, thank you so much! I'm incredibly proud of them, and so happy to hear every time someone says that they've enjoyed them. Thank you for saying that, too. I'm grateful for every kind word. I thought I'd include some photos of life around here...and narrate them. This is my second attempt (I somehow hit two keys and deleted the post...) so this may not be as insightful or patient as the first post attempted to be! This is a photo of scarf #1. It's coming along. What's it made of? It's got a silk/wool warp (and it's nubbly silk) and a mishmash of yarns in the weft. A commercial mohair/wool/nylon boucle that I bought from a mill in Ireland, a handspun Polwarth single ply yarn that I spun with bits of gray, pearl, pink, peach and copper silk waste threads mixed in, and an odd ball of Lion Brand's long discontinued Kool Wool, a wool/nylon yarn I really liked when it was being produced. Dealing with the broken and uneven tension in the warp has been an exercise in patience--I'll look forward to getting this first scarf off the loom so I can readjust things again. My husband, the professor, continues to find "views" without having to climb large observation towers! He went to run an errand before work and caught this photo in a parking lot while waiting for the shop to open. This is just a snap shot of the prairie sky above a parking lot. What a view... It sure isn't like the sky in other places. At the university campus, someone is feeding the squirrels and birds some peanuts. Here's a magpie having a snack. Finally, the construction across the street continues at a brisk pace. It's pretty interesting to see what gets accomplished each day. Staring out the window has been fascinating, particularly because my loom faces the construction site. While I weave, I watch the building commence. It's been a long week...some very sad news from a good friend, as well as a lot of work for the professor...and he has also been doing a lot at home as I have been under the weather... but despite all this, I think our household really enjoys finding small things to admire and appreciate whenever we can. I hope, wherever you are, that you'll get to find beauty in small, every day wonders this weekend. To follow up on that last post--I can't say that I've been doing the Twist here. (nor the Mashed Potato....) No dancing at all, really. I've been feeling a little under the weather and also accompanied by bad allergies. As a result, I've been spending time staring out the window. I tried to catch a photo of the daily construction taking place across the street. It's hard to tell in this photo, but on the left of the picture, there's an enormous truck on the street. Then you can see an elm tree (bisected by the sun) and a straight up and down thing. That was a bright orange thing, easily several stories high, that I think they were using to shoot concrete into the structure. The building itself now has a basement, and a floor on top of that, and it grows more by the day. It is pretty dusty in our house as a result of this construction. That said, I've been amazed by the quick progress. Also, the workers have been pretty respectful. They come early, they stay late, they work hard. They don't make unnecessary noise and they seem to avoid the usual trash and other mess that I have seen around other construction sites. So, if you have to feel off your game and staring at something, this isn't a bad thing to watch. Last weekend, I warped my loom with some cream color, 60% silk, 40% wool yarn. The silk is filled with "nups" which means that it is shorter staple and likely from cocoons where the bug emerged from it, leaving a hole rather than being stifled by heat or steam. The shiny silk that comes from the stifled cocoons is very strong; this yarn wasn't. I envisioned yards and yards of easy to weave scarves in my near future. About 6" into my weaving, I went to advance the warp and the worst possible thing happened. The tension was too much for the yarn and about two-thirds of my warp just broke off where it was tied to the front of the loom. I acted fast and retied the ends as best as I could. I can't lie--I did pause briefly to mutter a few choice bad words! It isn't easy weaving right now, and I'm not thrilled with how the first scarf is coming out--the weft is all uneven because of the uneven tension of the retied warp. I will likely cut this off the loom when I am done with it, and try to retie the warp ends again to hope for better results. I am still new at choosing good warp yarns, and maybe this wasn't the best choice. Some weeks are like this...maybe not memorable, a little yucky, and yet, there to be gotten through anyhow. The good part is that I've been doing a lot of reading! I've loaded up on library books, including Margery Allingham's mysteries. I find it amazing how entertaining and compelling they feel, despite the fact that many of them are 50 or 60 years old. Definitely still worth reading. Had any warp end disasters? Reading anything good? Do tell. Sorry for the delay in posting--I couldn't think of anything fiber-related to post, and it looks like my non-fiber posts seem to get more comments anyway these days, so here's a different tale. This is an old house story. You may remember that our second story bathroom has a fabulous mosaic floor. It's not all in perfect shape but it's original to our nearly 100 year old house. In fact, if you walk a block up the street, you can even see the entry hall of an apartment building with a mosaic that matches ours exactly. I imagine the mosaic tile workers were busy 100 years ago in our neighborhood! Over the last year, every time someone closed the door to the bathroom, there was an enormous grummmmfh rummmfh noise as the door scraped over the tile floor. This wasn't good. It was bad for the tile floor. It also meant that if you had dinner guests and one of them went up to do their business? Everyone downstairs knew just how long those guests were in there. The Professor said that the only way to fix this properly was to rehang the door, which had obviously started to hang lopsided (dang gravity) and scrape on the floor. This, he said, would take hours to do properly and he'd put it on his fix-it list. After over a year, I noticed it hadn't gotten any higher on the list...there was always something more pressing! The noise and the potential damage to the floor was making me nuts. When no one is in the house but the Professor and me, I never shut the door. He shuts the door. Have I mentioned that the noise made me crazy? I suggested sanding the bottom of the door. The Professor didn't think this was an option, but when my dad visited, he said it was definitely worth a try...obviously the rubbing was only a few milimeters in one direction or the other, because we could still shut the door. The Professor washed his hands of the situation, but handed me some sandpaper. I called my dad. Wise man who is my father suggested that maybe I should hold the sandpaper on the ground, between my feet, and use the ground as my sanding block and the door's weight would help it to sand itself. This worked better. My face wasn't quite as red. 1) The next time I dance the Twist, I'll be ready! 2) I now also had little bruises on the insides of my knees. 3) This worked--slowly, and you can work up quite a sweat while sanding. I also realized that while the door shifted downward, the mosaic wasn't flat either. The floor shifted upwards in places, too. Given the nature of the sanding and my low tolerance level for this sort of thing, I worked on the door for a few minutes every day. 5-10 max. I saw it as my "discipline. " Eventually, I hoped to learn something from it. After a week or so, I put away the sandpaper. It's not perfect, but it's a lot better. You can go to the bathroom in my house and I don't have to hear that door rubbing against a 100 year old tile floor. Now I just have to convince Sally the dog that she does not have to guard the second story bathroom any more by barking. This still scares the pants off dinner guests--sometimes before they get to the washroom! Worse, I don't know if they've managed to make it inside yet and shut the door because I can't hear the door noises any more! I imagined (while red faced, sweaty, and doing a weird approximation of the Twist) that this was all sort of comical in the home repair department... At least, I try to see it that way. It's either that, or it's some weird new exercise routine. I'll start out by saying that I found all the comments to the last post very interesting and thought provoking. I've lived in lots of places (summarized list in the last post's comments) and seen beauty and scenic views in all of them. I think what I was trying to say was that the prairie "scenic views" do not have to be seen at the top of an observation tower--I see them every day. Maybe my thoughts weren't just written out clearly. On reflection, maybe I also assumed some things about travel since I've done a bit of it and lived in a lot of places. For instance, it is not a small thing to say that a road enables good knitting time. I've been on some roads in North America and abroad (In the U.S., for instance, Virginia, West Virginia, North Carolina, Kentucky, Colorado, New England and upstate New York) that basically made knitting impossible. If the hills are straight up and down, the turns are "hairpin" and you're trying hard to keep your lunch down, well, it's not a good time to knit. In fact, in winter, just staying on the road seemed a real achievement in some places. You know, the places where the snow on either side makes the twisty, ice covered road feel like a tunnel? Obviously, I should get back to knitting talk here. Photo one is of my first sock for the KAL. I have just turned the heel (this photo was a bit before that) and things are going very well, for the most part. I think the socks will be roomy, but I find that superwash wool tends to sort of tighten up in washing, so I think roomy is fine as a starting place. Yesterday, I took advantage of our lovely warm fall weather to wash a lot of woolens. We have a big basket of scarves, hats, mitts, and dog sweaters in our front entry. I turned out the pockets of every one of my coats and sorted things into dark and white washes. Using the washing machine as a set tub (Fill up with hot water and detergent, stop, let things soak, spin out. Fill up with hot water, rinse, spin...) I gave some hard working wool items a good wash. I won't even tell you how dark the water looked in my "white" wash. The Professor reminded me that we get used to thinking some things don't need to get washed too often. Mittens are one of those things I could do with washing a little more often! All in all, I counted 6 pairs of handknit mittens that I wore on a regular basis last winter. These are rotated among at least 3 different winter coats depending on temperature and occasion. I tend to wear a double layer of knitted mitts when I'm out walking the dogs. This means that it is "all hands on deck" in terms of my mitten usage. In this collection, I saw some mittens I'd spun and knit 15-18 years ago (in college) as well as mittens I'd made in the last 3 years. I also have too much white in there--some of these should definitely visit the dyepot! I washed my Cuddle Coat too, the white sweater that you can see me wearing in the litt le picture of me on my blog. (the one with Harry the dog) This sweater was so easy to design and knit and has seen hard wear for the last 5 years. I love it and sleep in it nearly every night in the middle of winter. None of the photos I've done or others have done have shown how truly comfy it looks/feels. Since I can't seem to give up knitting along on my red sweater at the same time as the socks, here are a couple of photos of my progress. When I design a sweater for myself, I often do it as I go, on the needles. The directions I gave myself here were: "Cast on 300 sts on #15 needles. Knit garter stitch for 18" or so. Then you can change yarn and stitch pattern." I am nearing 18" at this point and have created a lap full of sweater. While mohair boucle can be tricky to knit, the luminous nature of the finished knitted fabric is something else. I tried to catch that in this last photo. The complicated bits with dk weight alpaca and wool yarns, shaping armholes and sleeve lengths, edgings and neck--all that is to come. What I think people will notice about this sweater? This mohair boucle's shine and energy. That's probably true with most things--the most difficult parts look plain jane and simple...even unglamorous. (turning a heel, for instance) It's only the maker that can tell which parts were easy glitzy attention seekers and which parts were prim, proper, and took hours of care. Ain't that life for you? On Friday, we drove down to Pembina, North Dakota. We brought some things to mail off in the United States and we met a friend. This friend not only studies and restores antique spinning wheels but also happens to be a biologist. Obviously the Professor and I both enjoyed the visit! Our friend showed us a handspun, handknitted flax lace scarf she'd made, and let me touch it. In person, it is a soft and fluttery piece of art. We also delighted together in the many (processed food) delights of the truck stop in Pembina. It appeared to be the only joint in town to eat lunch, so that's where we ate. We did stop at an outstanding museum. The Pembina State Museum was small but very well done. Every exhibit was up to date and interesting. I suspect I'll be go ing back there the next time we go through that area. The most interesting part of the museum's architecture is the observation tower, which we did not go up. Since everything is F-L-A-T on the prairies, it is hard to have scenic views. Obviously, that has to be fixed, so people build observation towers, toboggan runs and even big city sky scrapers to be sure you can see "the view." Since both of us are from much more hilly regions (and we've even spent time in places with genuine mountains), we find this kind of amusing. The Professor took my camera and made sure to take comparison shots so you can see the height of this tower. This allowed for a lot of good knitting time, and even a nap on the way home, since I wasn't driving. The view is open and gorgeous, with very few things that interrupt the big sky. However, it does get a bit boring to drive. At the Pembina exit, we were amazed by the amount of traffic. I mean, who knew that silos of this size were portable? Obviously, now we know they are, but it was quite a sight to see several being towed to their new farm destination. Behind those silos, you can just about see a red dump truck. In one direction, it was full to the brim with sugar beets. After it dumped off the beets for processing, it would return for another load. The Red River Valley grows a lot of sugar beets. We also saw several cattle trucks as well as other long haul truckers. It was a pretty happening intersection for a small town. We took only a few photos because as usual, my camera battery decided it was low right after we left home! That said, I think this might give you a taste of our trip. So, have you seen what the prairies look like before? Was this what your neighborhood looks like, or was it new to you? I'm curious--it was all new to me when we moved here a little over a year ago... I have no idea if most of my readers are already prairie dwellers or whether this exotic and new to you!